SAP Cloud Platform is the enterprise platform-as-a-service, with comprehensive application development services and capabilities. It enables customers to achieve business agility, create a truly integrated and optimized enterprise, and accelerate digital transformation across the business – all without the requirement of maintaining or investing in on-premise infrastructure. In this new advanced course, you’ll learn how to handle cloud-native operations with SAP Cloud Platform through hands-on exercises. You’ll be working with the Neo environment and the Cloud Foundry environment within SAP Cloud Platform, and many of the capabilities and services offered there that make it easy to operate innovative applications in the cloud. In week 1, we’ll cover identity management with the management of users and user groups, as well as the services SAP Cloud Platform Identity Authentication and SAP Cloud Platform Identity Provisioning. In weeks 2 and 3, we’ll dive into lifecycle management, how to structure subaccounts into dev/test/prod landscapes, the multi-target application (MTA) concept, as well as CTS+. In week 4, you’ll learn about continuous integration and delivery, and how to set up and run your own continuous integration pipeline. This advanced course is primarily aimed at system administrators and technology consultants who have already finished the openSAP course SAP Cloud Platform Essentials (Update Q3/2017) and want to learn more. For the first time, we’ll cover in-depth the topic of operations, including identity management, lifecycle management, as well as continuous integration and delivery, which are a key to success in a cloud context. The registration, learning content, and final exam are free of charge. You’ll be able to get some practical experience of the platform by using a free trial account. We’ll explain how you can access this at the start of the course. If your primary interest in taking this course is getting a technical overview of the capabilities of SAP Cloud Platform, you do not need access to a development system. However, we realize that many of you will be interested in experimenting with the platform, based on the instructions in the course. You can register for your own free trail account for SAP Cloud Platform. We’ll also explain how to do this at the start of the course. There are a few restrictions for the free trial account, but you’ll be able to follow the course without any problems, as the instructor will use the same system as you. 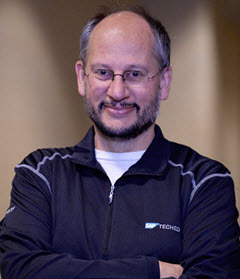 Martin Raepple is the chief security expert for SAP Cloud Platform, and is responsible for the security roadmap and managing the product backlog for the development teams. Prior to taking on this role, Martin represented SAP on international standard bodies. Before joining SAP in 2005, he held positions with IBM as an IT architect and consultant. Martin has over 20 years of experience in applying information security in a wide range of industries, speaks frequently at international conferences, and has authored books, security standards, and articles. 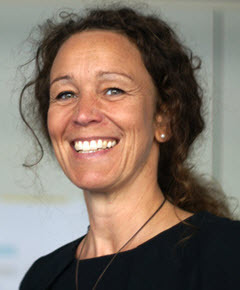 Marion Schlotte is a product expert in the Cloud and Lifecycle Management team within SAP SE in Walldorf. She joined SAP in 2001, and has held various positions in consulting, RIG, and development, specializing in application lifecycle management. Coming from custom development for SAP Portal, NWDI, SAP CE, bridging gaps between ABAP and non-ABAP technologies via CTS+ for classical change and transport management, she is now part of a cross-team responsible for DevOps, CI/CD processes, and methodologies for customers. 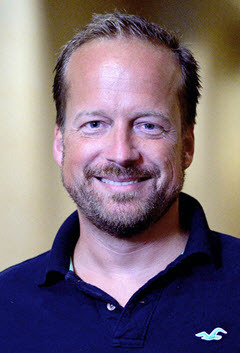 Harald Stevens joined SAP in 1994, and has worked as a technology consultant and project manager. His main areas of expertise are upgrade and migration projects. 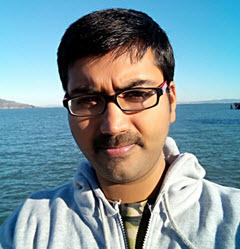 In 2015, he joined the Cloud Lifecycle Management development area as a product manager for change management tools. Hariprasauth R is a technical product manager in the SAP Cloud Platform (SAP CP) Core area, focusing on the core platform area and enabling partners, customers, and developers. He is an Open Source enthusiast, a regular attendee at conferences and partner workshops, and an active member of SAP Community. This course was held from Feb 06, 2018 through Mar 14, 2018. This course was rated with 4.42 stars in average from 487 votes.